MarkWest is a wholly owned subsidiary of MPLX. 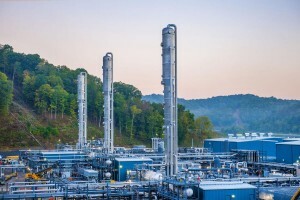 The Sherwood Complex first began operations in October 2012, according to Jamal Kheiry, communications manager for Marathon Petroleum Corp.
Sam Schupbach, vice president of Operations Processing for MPLX’s Gathering and Processing segment, said the company employs more than 200 workers in West Virginia. The company has spent more than $10 billion building infrastructure in the region over the last decade, Schupbach said. In 2017, MPLX entered into a partnership with Antero Resources, which allowed it to expand the Sherwood Complex’s capacity, Schupbach said. “We formed a joint venture with Antero Midstream Partners LP to support Antero Resources’ development in the Marcellus Shale,” he said. “At the time we formed the joint venture, Sherwood’s six cryogenic processing facilities had a total capacity of 1.2 billion cubic feet per day. 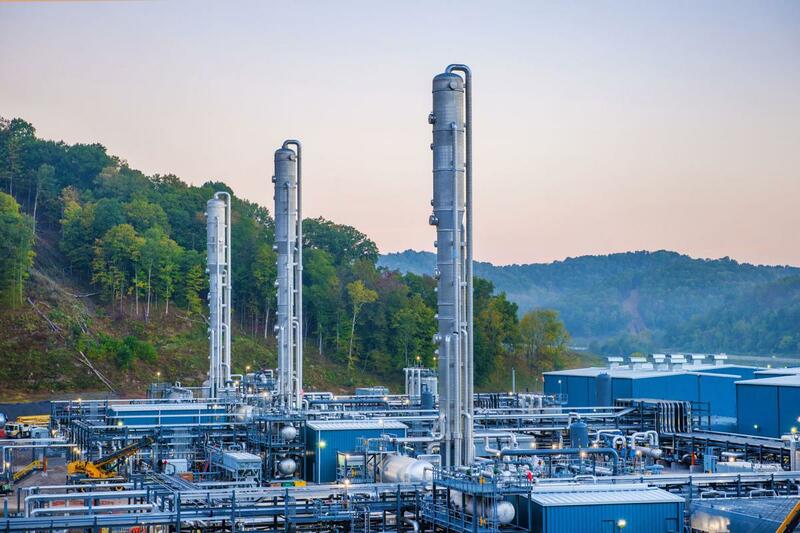 MPLX has plans in the works for another natural gas facility in Doddridge County to be called the Smithburg Complex, which will have the capacity to process 1.2 billion cubic feet per day, Schupbach said. An expected in-service date has not yet determined for the future facility, Schupbach said. The county’s tax base has grown substantially in recent years, largely due to increased oil and gas activity, Robinson said. “In addition, the oil and gas provides through the royalties. Many residents get a significant amount of income every year,” he said. Robinson is no longer a Doddridge County Commissioner. His term expired on 12/31/18. Robinson also has mineral leases with Antero. He reported on his financial disclosure forms, filed with Secretary of States office, that more than 20% of his income was from oil and gas. The new plant that is being built by MarkWest is 1/2 mile from the County middle and elementary schools and 1/2 mile from the County Park. The site prep for this plant involves mountain top removal and valley fills. 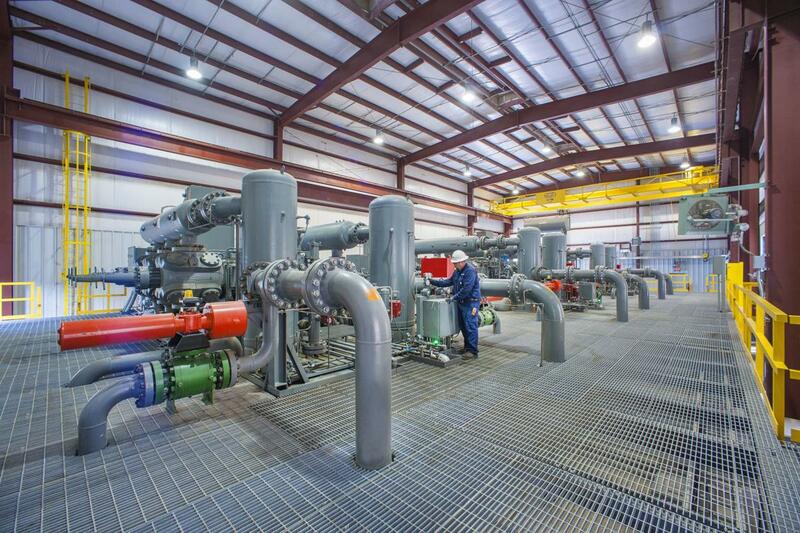 The new plant will be processing shale gas from wells in Tyler, Ritchie Nd Wetzel Counties. This means that more pipelines and shale wells are in our future. Both plant locations have impacted FEMA Floodplains and sadly are located upstream of the County municipal water supply. Numerous violations have been written by WV DEP for the work being done there.